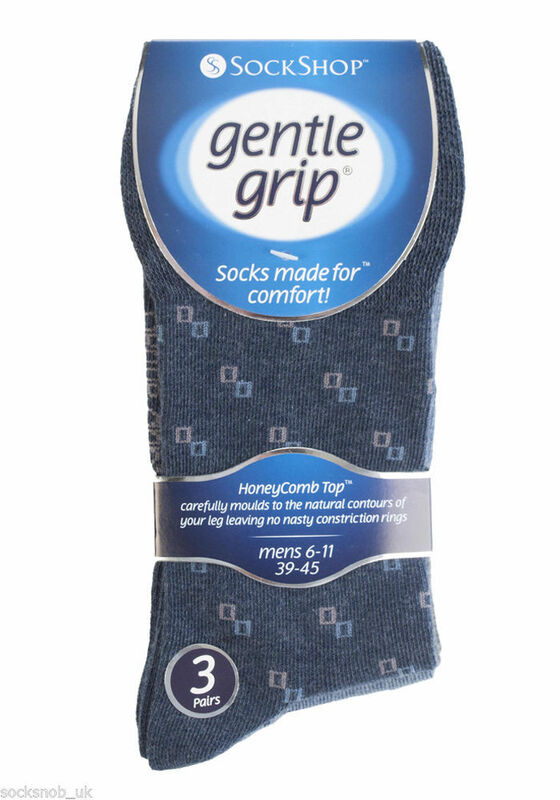 Gentle Grip Soft Top Socks Gentle Grip socks have been made with comfort in mind, with their soft HoneyComb top they are great for any one, particularly if you struggle with circulatory problems or swollen legs, ankles and feet. These really are the socks going forward for anyone who dislikes those tight tops. HoneyComb Non-Binding Top They comfortably mould to the natural contours of your legs without leaving any of those ugly, irritating and itchy constriction rings. Gentle Grip HoneyComb tops don't fall down, yet don't constrict your leg, perfect for people with diabetes or just perfect a gentle top on their socks Great Designs This collection of designs look as good as they feel too, made from soft, comfortable cotton rich yarn. 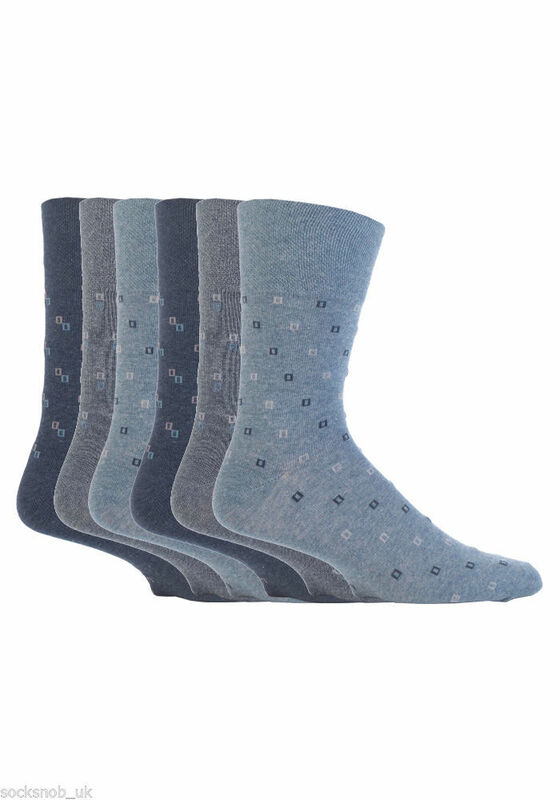 Cotton Rich Made with soft cotton these socks are extra comfortable to wear for long periods of time.